The game of golf is a source of endless study, fascination, and frustration; which has led to an endless pursuit of wisdom about how to play it better. 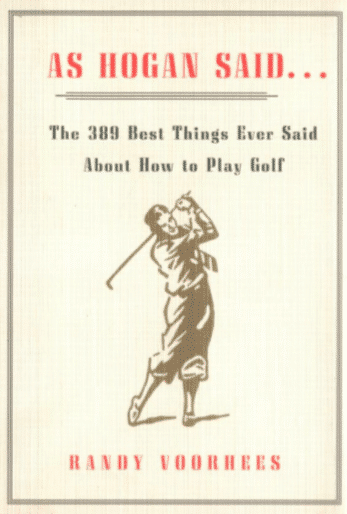 Randy Voorhees in this book has presented the best, most helpful, and most entertaining quotations about the game of golf. From Penick to Trevino, from Mackenzie and Wodehouse to Updike and McLean, all the greats of the game are here, with thoughts that will enlighten, entertain, and ensure lower scores. Click here for more info: As Hogan Said . . .